My post-election view, which is probably shared by a majority of Irvine residents, is that we have just witnessed a remarkable, historic, and downright awful 2016 campaign — both nationally in the race for President and in the Irvine races for Mayor and City Council. 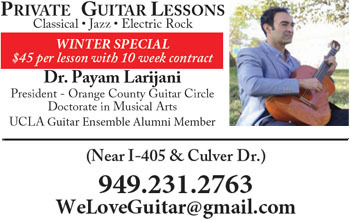 Full disclosure: I’m a lawyer, business-man, and civic activist who formerly served on the Irvine Planning Commission and, before that, as Chair of the Irvine Transportation Commission. I am a lifelong centrist Republican. Locally, as Publisher of Irvine Community News & Views, I am proud that this community newspaper endorsed Mary Ann Gaido for Mayor and Melissa Fox for City Council. Normally, regardless of the outcome in a local election, I would be congratulating each of the winners in Irvine on running a successful campaign. So, hearty congratulations to Melissa Fox on her brave and successful run for City Council. But as for the other “winners” — Donald Wagner, who beat Gaido by less than 5 percent; and Christina Shea, who finished on top in a field of 11 candidates for City Council — I will not congratulate them on running a winning campaign. Why? Because, the plain truth is that they didn’t run their own campaigns at all! Campaign records already on hand reveal that last spring and summer, apparently with a wink-and-a-nod, Wagner and Shea (and also Council candidate Anthony Kuo) “outsourced” their campaigns to Irvine mega-developer FivePoint Communities and other big developer interests. Led by FivePoint and its CEO, Emile Haddad, these pro-development interests then raised and laundered hundreds of thousands of dollars through an array of out-of-town “independent expenditure” committees. These so-called “I.E.” committees, run by very expensive professional political operatives — often called “hit men” or “hired liars” — then spent $1.5 million (maybe more) in Irvine. 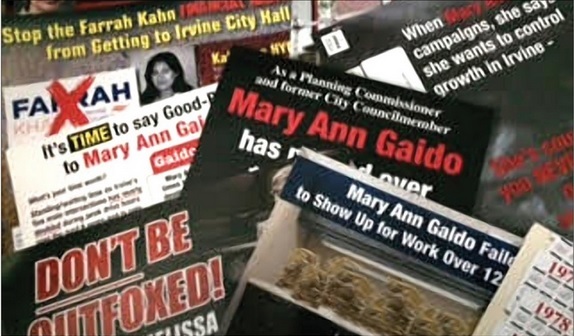 They spent lavishly — typically more than $100,000 per week — on polling, messaging, on many hundreds of TV and radio attack ads, on perhaps thousands of internet attack ads, and on dozens of direct mail “hit pieces” in a calculated campaign of lies and smears against Mary Ann Gaido and other Irvine Council candidates. Campaign finance records show that Wagner and Shea together raised and spent about $50,000 — just 3 percent of what the big developers and special interests spent on their behalf, mostly attacking other candidates. What we witnessed was the most disgusting, dishonest campaign ever run in Irvine. FivePoint’s “dark money” and “gray money” campaign was intended to say anything and do everything to elect a trio of obedient pro-developer candidates: Wagner, Shea and Council candidate Anthony Kuo. Thankfully, Kuo was defeated by Melissa Fox. Fox finished second and won the seat being vacated by Councilmember Beth Krom. The State Code of Campaign Conduct, signed by most Irvine candidates, is a voluntary Pledge by candidates for local office to not engage in “scurrilous” attacks, including character assassination, and to not permit others to do so “on your behalf.” Wagner was the only candidate for Mayor who refused to sign the Pledge. Now, we can see why. He no doubt knew that FivePoint and other developers were going to run a “scurrilous” campaign on his behalf. Shea and Kuo signed the Pledge, but clearly never intended to honor the promises they made. To her everlasting credit, former two-term Councilmember and longtime Planning Commissioner Mary Ann Gaido, ran a true grassroots campaign on a principled growth-control platform. Her campaign was her own — meeting her campaign budget goal of $100,000 with hundreds of small donations from residents who respected the City’s campaign contribu-tion limit of $470 per donor. A measure of Mary Ann Gaido’s grassroots strength was that she lost to Wagner by just 4.7 percent (38.2% to 33.5%) despite being outspent at least 15 to 1. An avid reader of Irvine Community News & Views recently suggested to me that ICNV should establish an Irvine “Hall of Fame,” and publish the names of citizens whose exemplary service to the community warrants special recognition. While we’re giving this suggestion serious consideration, let me just say now that if we do establish a Hall of Fame, my first nominee will be Mary Ann Gaido, whose 40 years of service and devotion to good planning and growth-control has enriched the quality of life in Irvine. I’m suggesting we establish a companion “Hall of Shame,” to note the bad actors in our community who have engaged in especially harmful and even shameful conduct. After observing their harmful and, yes, shameful conduct in Irvine’s recent election, I nominate corporate “citizen” FivePoint Communities and its President and CEO, Emile Haddad, for the No. 1 spot in the Irvine Hall of Shame. And, of course, Haddad’s obedient beneficiaries and puppets — Donald Wagner and Christina Shea — have earned a place in the 2016 Hall of Shame, as well.